A secure solution for « the flame in the pan » or clothes are on fire. This blanket of 100x100cm is in a hard plastic case wall. 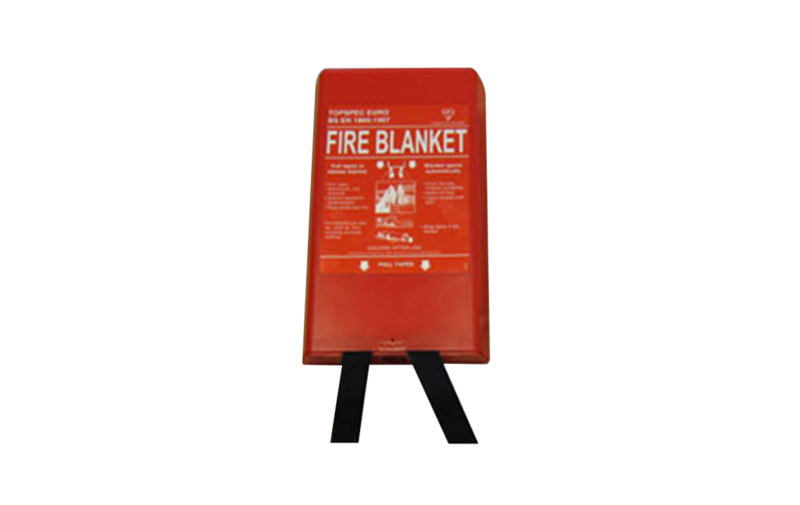 The blanket is quick and easy to use; when one of the two strips pull the suitcase is open, and the blanket is ready for immediate use. Note: Other sizes are also available.